‘My grace is sufficient”, is the truth of the Scripture, given to all believers. 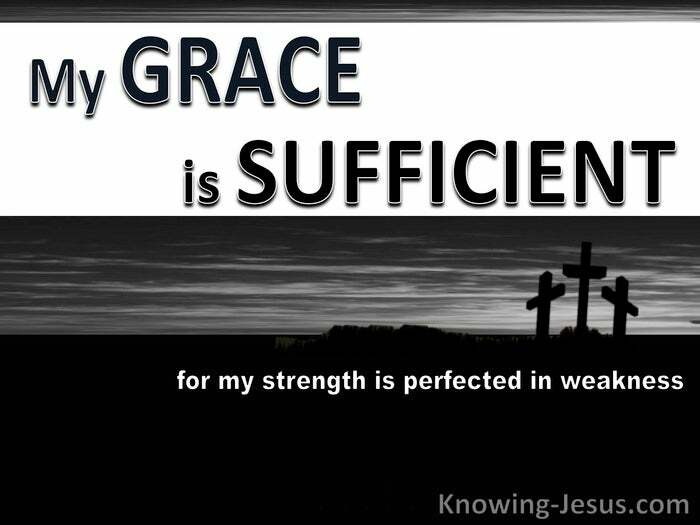 “My grace is sufficient”, may be accepted intellectually or rejected in reality. But Scripture must become a heart-belief. If scripture is not trusted as God’s word, His grace will not be sufficient, for God requires us to trust Him, and to just take Him at His work: for by grace you are saved, by means of exercising faith. But Scripture is the most illogical, outrageous bizarre book ever to be written. Scripture is the singular most irrational, radical book that has ever been read. It does not sit comfortably, because it conflicts with all human reasoning. To trust in God’s Word is the most unreasonable thing for a thinking man to do. Were this book written by man, it would never proclaim the things contains. Grace for salvation; grace for sufficiency and the grace of Scripture is perfect. It was written by a holy God:- perfect in knowledge; wisdom; mercy; justice and love. It was written by an eternally holy, perfect God, to unholy, imperfect man:- imperfect in knowledge and wisdom; imperfect in mercy, justice and love. It contains the thoughts of the all-knowing, all-powerful, all-sufficient eternal God.. thoughts that convey perfect God to imperfect man, who is grossly limited – limited in knowledge and power, limited in all attributes bestowed on him by God. This infinite, changeless perfect God is Spirit, but man was created in the physical and God chose to reveal His eternal perfection to man, through His Word. Our thoughts of God are imperfect. There is no possible way to understand Him. Oh, we were created in God’s image and likeness – yes, but God is Spirit and man is a physical being and there is a big difference. God is eternal, from everlasting to everlasting, but we had a beginning. God is omnipotent and He is eternally all-powerful, but we have limited strength. God is omniscient, He is perfectly all-knowing, but our imperfect knowledge is limited. God is omnipresent and there is nowhere that God is not, but we are limited in space and in time. God is eternal.. eternally-gracious; perfectly all-powerful; righteously-wise. God is changeless in love, power, knowledge and strength.. in time and in space. Infinite God is perfect in holiness; wisdom; mercy; justice; truth; love and grace. God is unchangeably wise; eternally holy – abounding in love. Each individual, perfect attribute of God is multiplied by His other attributes. Every eternal, changeless characteristic is magnified by His other characteristics. And this God purposed to work in your life and in mine, to make us His children and to bring us to perfection, and He explains in His Word Who he is what He is doing and how. This God is awe-ful; tremendous; amazing; incomprehensible; incomparable and yet we often refuse to know Him through His word, because of our bias:- because what we are experiencing does not fit into our meager perception of Him. So His word becomes distorted, by incorrect and biased religious thinking, His character is perverted, because of our developed prejudices and false perceptions. And this is often due to incorrect teaching or a lack of real scriptural understanding of Him. God’s grace is sufficient and it’s a truth of the Scripture given to all believers. 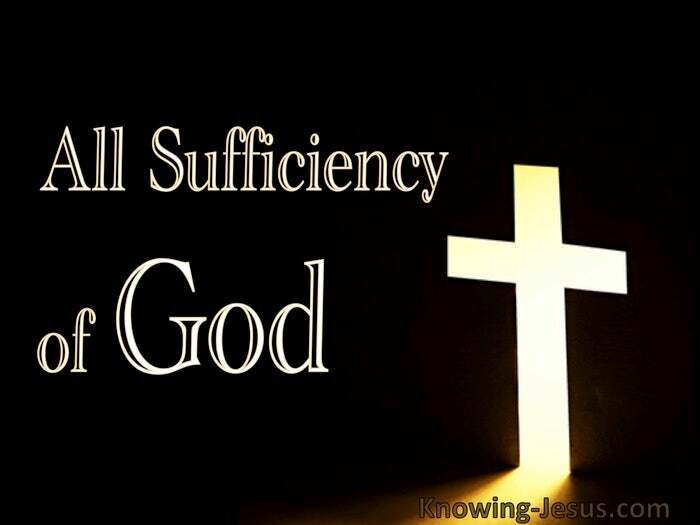 But the sufficiency of His grace , though accepted intellectually, is rejected in reality. All Scripture is God’s Word and must be a heart-belief not just head-understanding. If scripture is not trusted as God’s Word, then His grace will not be sufficient.